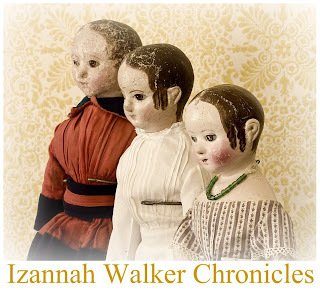 Maida Dolls Group members are invited to join together in a Storybook Doll Making Challenge. If you're not a member, you are welcome to join the group - it's free and is a great group of people. 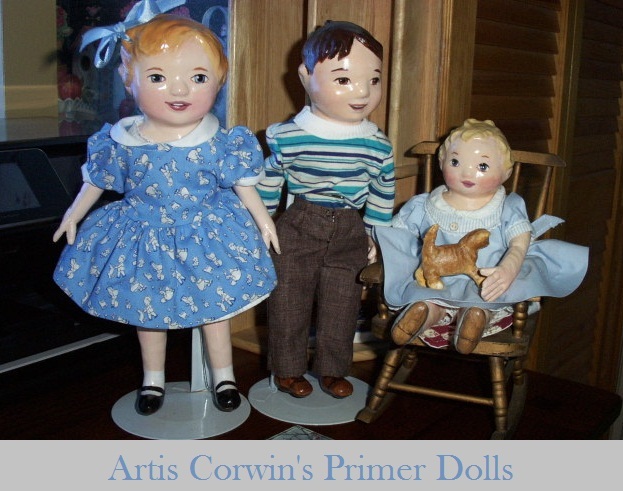 Member Artis Corwin does a wonderful job making "Primer Dolls" based on vintage reading primers. 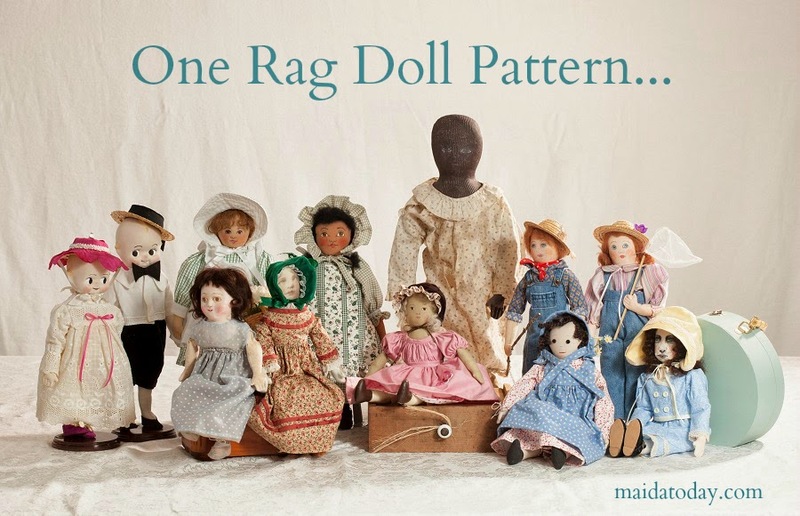 We all have our favorite stories - so come join the fun in the Maida Dolls Group! 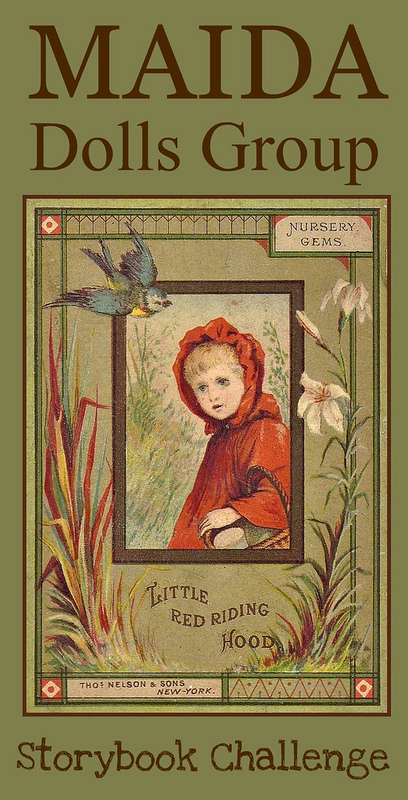 In the banner at left is the cover of a sweet 1885 small sized Little Red Riding Hood book I own. 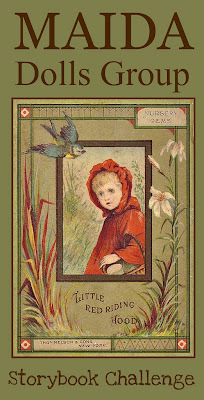 The illustrations are so tender in this book, and the c olors in the printed illustrations are amazing. It inspired me to again make a Little Red Riding Hood doll. I just adore Artis's dolls, they look like real children to me, not dolls! Absolutely loaded with individual personality. Maybe I'll neglect my kids' education for a while to participate in this. Who wants a bunch of educated, smart-aleck kids anyway?